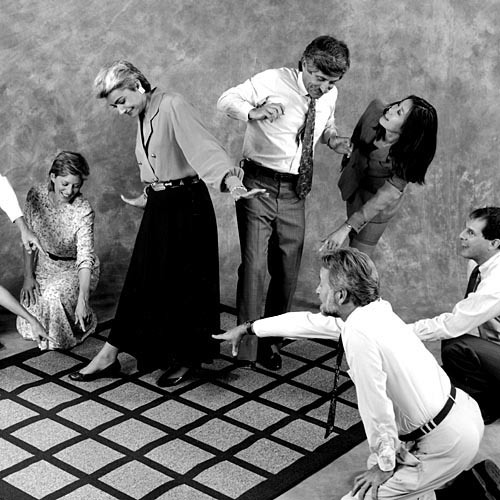 Electronic Maze – A Great Teambuilding Event and the Power of Serendipity – Behavior Matters! We just became a Value Added Reseller for the Electronic Maze! I know, strange huh? 2. good fortune; luck: the serendipity of getting the first job that she applied for. The story goes like this. We have been using the Electronic Maze since the first day of business at The Lantern Group. We’ve done hundreds of events that have utilized the maze with great success. Thousands of people have gone through it. I wrote about 5 great insights from the Maze back in August (click here to read). We’ve highlighted it as one of our key team building events on our Lantern Group Web Page (see here). But I never thought that I’d be selling it. Then the phone calls started happening. The first was a few months ago – out of the blue, I got a call and somebody wanted to buy a maze from us. I told them politely that we use the maze as one of our key team events, but we don’t sell them…sorry. I didn’t think much of it at the time. Then the second call came – same inquiry, “can I buy a maze.” Again, sorry, we don’t sell them, but here is the website for the company that makes them.” It seemed a little curious, but nothing more than a fluke. But then the third and the fourth call came and I thought – wait, this might be something. Apparently, when you Google “Electronic Maze” we are the second highest rated web page. I thought to myself – cool! I love the product – really do (we’ve owned them for over 14 years – with only needing to replace the batteries). I think they can be used to address a number of team and leadership issues for a variety of participants (we’ve had CEO’s go through the maze, a group of women educators, assembly line workers, and managers from across the globe – to name just a few). And now I’m getting calls about them. I contacted Interal – the manufacturer. I spoke with Boyd the President of the company (we had a great long talk about the many different uses of the Maze and how I’ve loved it for a long time). Now we are a Value Added Reseller of the product. You can contact us and we can sell you the Electronic Maze at cost (612-396-6392 or kurt@lanterngroup.com). Insight # 6 from the Maze: Always be open to new opportunities!